The thing about accidents is that you can never anticipate when they will strike. However, what you can do is prepare yourself mentally to address a problem whenever one does unfortunately take place. In this week’s blog post, your emergency dentist in Auburn is here to help you understand how to address a dental accident with the help of a reliable dental team. Continue reading to learn more. 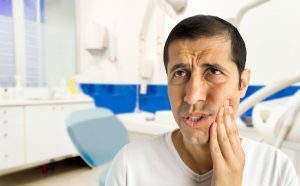 Anytime something happens to your mouth that causes you pain, discomfort, or trauma, it should be considered a dental emergency. There are some that are more urgent than others, but none that should be completely ignored—no matter how minor you think they may be. Persistent bleeding that won’t stop, even when pressure is applied to the area. A knocked out or lost tooth. Major dental damage to dental work or restorations. If you happen to have a less painful dental accident, one that doesn’t seem as urgent (like food stuck between your teeth), you can schedule a dental visit during your earliest convenience. As mentioned above, you shouldn’t ignore it completely though! If you’ve cracked a tooth, be sure to gather the pieces if you can and store them in milk while you travel to your nearest dentist. If you have a knocked-out tooth, be sure to recover it and store it in milk, leaving all attached soft tissues on the tooth in place. If you experience a bad toothache, apply a compress to relieve swelling while you travel visit the nearest dental office. Stay calm despite the type of dental accident. Call our office right away for assistance and over the phone advice. Be sure to schedule an appointment with us right away. Gather any materials, lost teeth or parts of teeth, and first aid tools you may need until you can visit our office. Drive safely while you travel to us. When you finally reach our practice, we will do our best to repair your smile as quickly as possible! Here at Kern Family Dentistry, we want to help our patients avoid dental discomfort and pain. In the case that you are experiencing an emergency, we will do everything in our power to find a solution for your problem as soon as possible! Contact us the minute you experience a dental accident, we’re here for you in your time of need!